Our team of dedicated PAT Test engineers servicing Greater London are all fully qualified, insured and CRB checked to provide your business with total peace of mind. Our engineers test all equipment with minimum inconvenience to you and your staff. This includes working out of normal office hours at no extra cost. For inner London areas the Congestion Charge and any parking costs will be charged at cost where applicable. 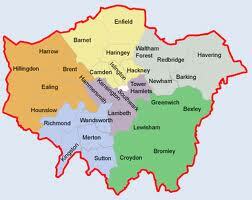 For more details you can also view our dedicated London Area site. Prices include: Full PAT Testing, Asset List, Certificate of Testing, Minor Repairs, Replacement Plugs and Fuses and any Retests needed. Our prices are fixed and all repairs are free of charge, you will pay nothing extra. There are NO hidden charges. Prices are exclusive of VAT at the current rate.